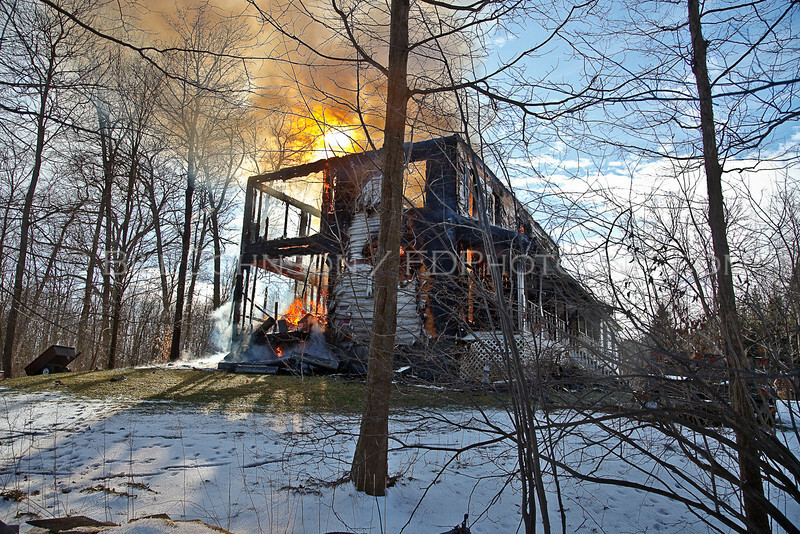 The La Grange Fire Department was assisted by the Arlington, Beekman, East Fishkill, Pleasant Valley, and Union Vale Fire Departments at this structure fire on Lauer Rd on January 10, 2010. A DCSO deputy arrived on the scene within several minutes and advised DC911 that the structure was fully involved. I arrived some ten minutes later and the roof had already collapsed. A delayed FD notification gave the fire significant headway and left firefighters with no chance of saving the structure.